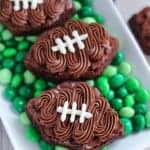 Football brownies – Brownies decorated like a football using chocolate and vanilla frosting. Use your favorite brownie recipe as the base. 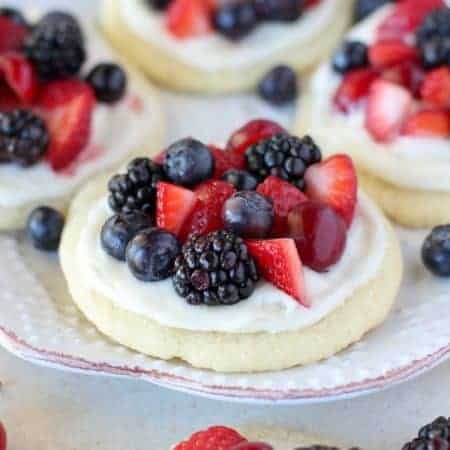 No cookie cutter needed! VIDEO BELOW! It’s here! College football has begun, and the NFL season kicks off tomorrow! Are you planning to watch your favorite team with friends? Go tailgating? Relax at home? I thought you might want to sweeten up your football season with brownies. 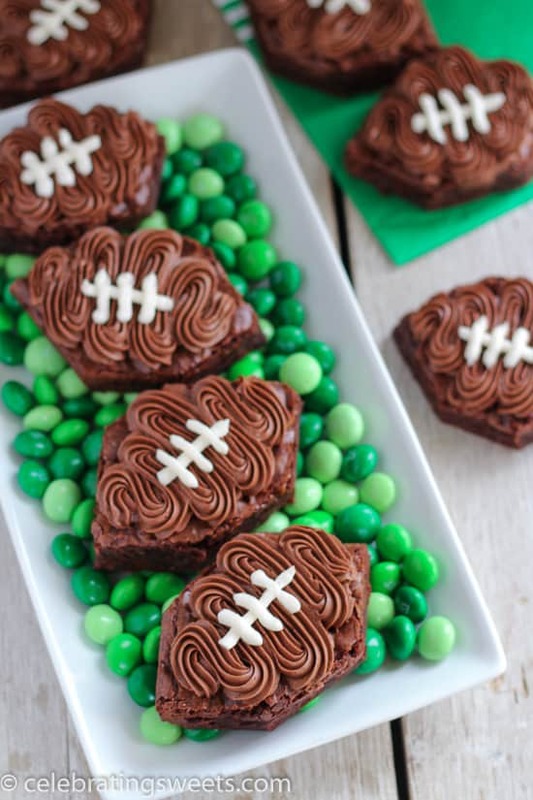 And not just any brownies – Football Brownies! Aren’t they adorable?! Bake your favorite batch of brownies. They can be boxed, homemade or store bought. Cut the brownies into squares, and cut two corners off the squares to make a hexagon (no cookie cutter needed). Frost the brownies with swirls of chocolate frosting, then pipe on vanilla frosting for laces. 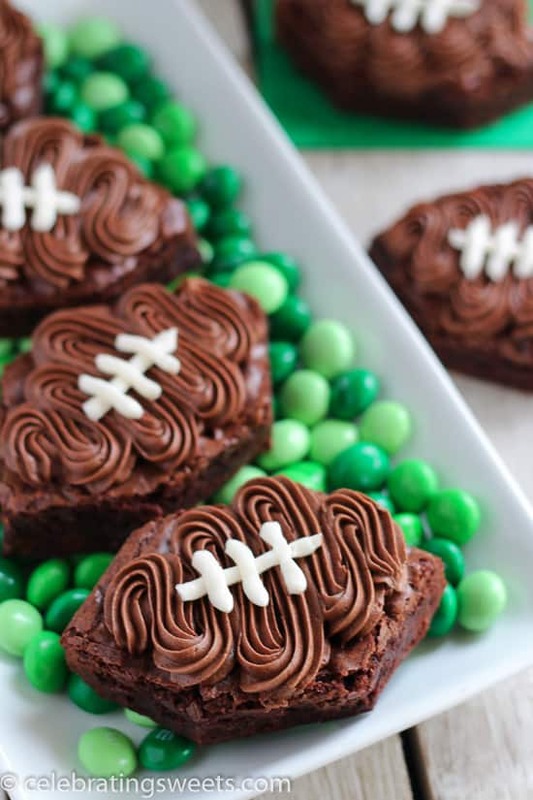 These brownies are perfect all football season long – and don’t forget to whip them up for your Super Bowl party. 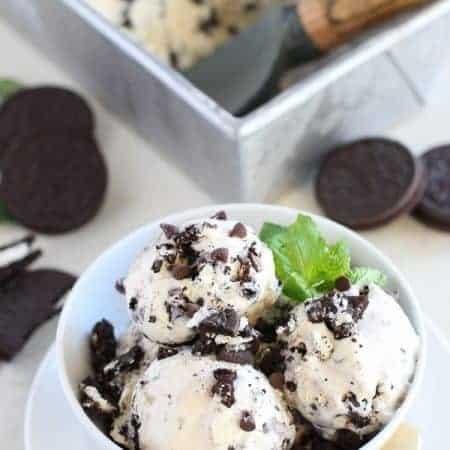 These are the perfect Super Bowl dessert – fun, festive, and delicious! Bring these brownies along to all your favorite games this season. Go Giants! 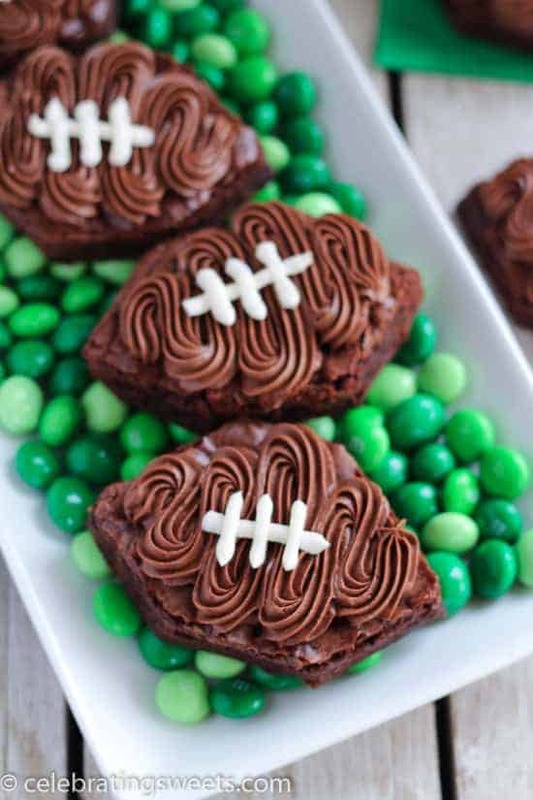 Brownies decorated to look like a football using chocolate and vanilla buttercream frosting. Use your favorite brownie recipe as the base. No cookie cutter needed! With a hand mixer, or a stand mixer fitted with the paddle attachment, beat butter until smooth and creamy. Gradually add the powdered sugar. Once all powdered sugar has been added, beat in 2 tablespoons milk and vanilla. Remove a generous 1/4 cup of frosting (to be used for the laces). To the remaining frosting, add cocoa powder and 1 tablespoon milk. Beat on medium speed for about a minute. Add more milk if needed. The frosting should be smooth and able to hold its shape. Place chocolate frosting in a piping bag fitted with a small star attachment. Place white frosting in a separate piping bag with the end snipped just enough to create your desired thickness of laces. Cut the brownies into squares, and then cut off a little bit from two opposite corners to form a hexagon (or you can leave the brownies in a square). Pipe the chocolate frosting in a zig-zag pattern to form a diamond shape. Pipe white laces onto the chocolate frosting. These are SUPER cute! I wish I had one now! These are adorable! What piping tip did you use? Would the Wilton 1M work or would that be too large? Hi, Patricia. I use a smaller start tip (I believe it is a 20). If that’s all you have you could probably make it work. You might want to cut the brownies a little larger. Enjoy! 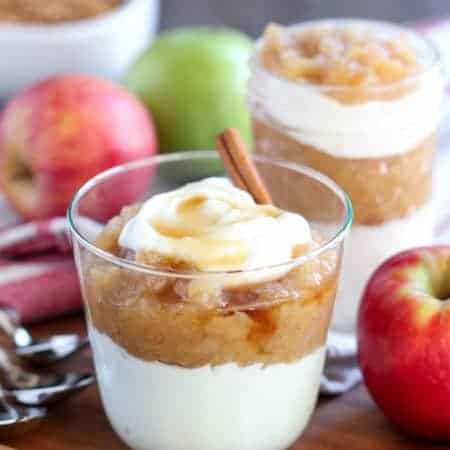 Looks amazing, perfect for game day!